The Incredible Hulk may not be one of the important characters in the Marvel Cinematic Universe. However, there are chances that the film might have featured a cameo of Spider-Man: Homecoming. In the movie The Incredible Hulk, there's a scene where Bruce has to roam around the Culver University in order to download Betty Ross' research on gamma radiation. But, since Bruce is a wanted man by the government, he just can't go in directly. So he dresses up like a pizza delivery man to pass the security. Then he enters a computer lab where he meets a "Computer Nerd", played by Martin Starr. 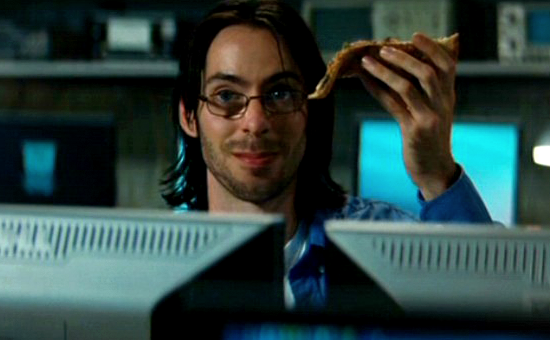 The role played by Martin Starr was so small at that time that Marvel Studios and Sony brought him back to play one of Peter Parker's teachers. Now, this may not be a big thing but still if seeing his inclusion in both the films has never been addressed by Marvel or Sony. So it might be possible that both the role's are actually of the same guy. Currently, there is not a lot of information regarding Starr's role. But we do know is that he is a student at Culver University, a college which is highly regarded for its scientific studies. And in Spider-Man: Homecoming, Starr plays the role of Mr. Harrington, who is the head of Midtown School of Science and Technology's Academic Decathlon Team and is also a science teacher. So as per the theory, Mr. Harrington is a Culver University graduate who gets a teaching degree specializing in science and eventually finds a job at a scientifically focused high school. For now, we have to just wait until Spider-Man: Far From Home releases. As many secrets are going to get revealed in the film.